Welcome to Day 43 of 100 Days of Disney here on The Purple Pumpkin Blog! Be sure to check out all of the other posts in this series, and if you would like to share your own Disney blog posts or pictures, make sure you check out the #100DaysOfDisney Link Party! After demonstrating my World Cup hair bows that I made with Duck Tape earlier on today, it suddenly dawned on me that I could make a Minnie Mouse hair bow and that is exactly what I’ve done! I made a video tutorial as it’s so much easier to show you how to make a Duck Tape hair bow than it is with just a photo tutorial! 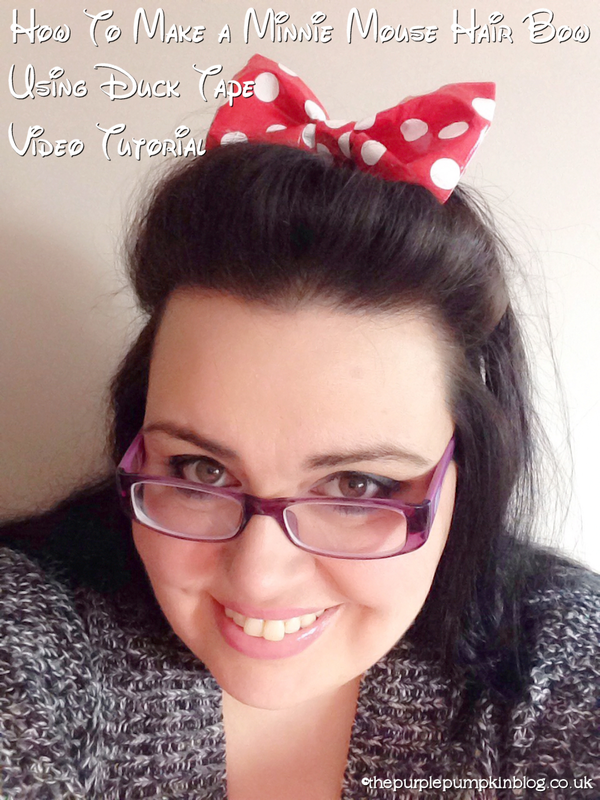 You’ll find my Minnie Mouse Hair Bow Tutorial on my YouTube Channel! I hope that you enjoyed this tutorial! Day 43 of #100DaysOfDisney is done – 57 to go! Come back tomorrow for another Disney related blog post!